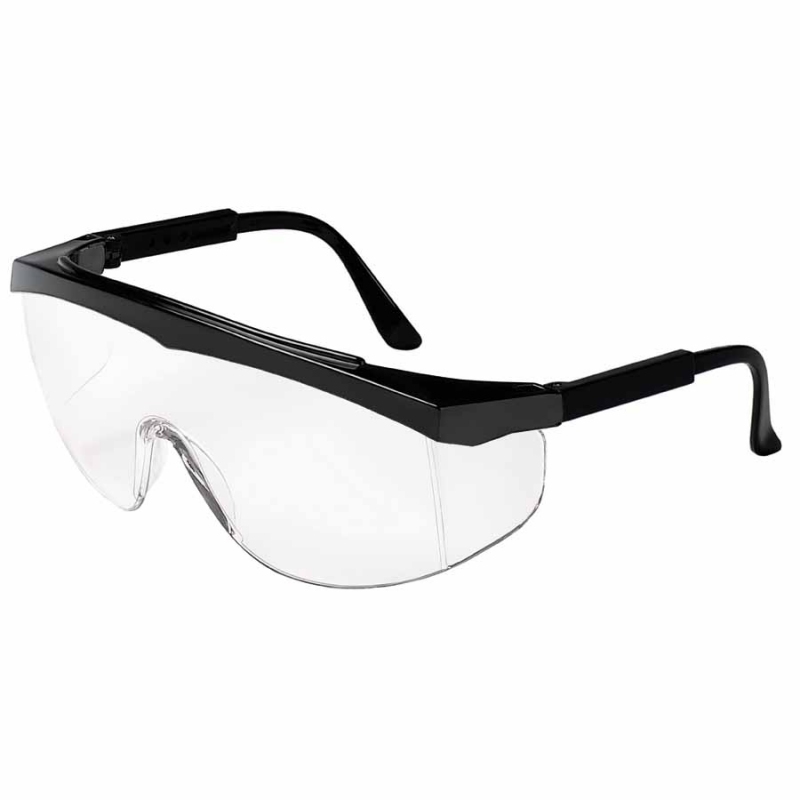 At this low of a price, there's no excuse not to be wearing safety glasses! Wrap around style of safety glasses fits over most prescription eyeglasses. Features a clear polycarbonate lens that filters 99.9% of harmful UV rays and an adjustable black nylon frame and temples. Integral side shields prevent side-entry of particles and offers an exceptional wide angle of unrestricted vision. One size fits all. CREWS Brand. Meets ANSI Z87.1-2003.